In a championship match which came to the No. 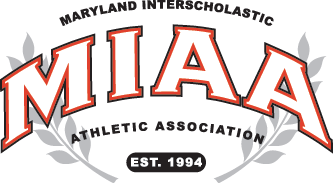 1 doubles pairings, Annapolis Area Christian School defeated Key School, 3-2, Friday afternoon in the MIAA C Conference tennis championship match. After winning its first set easily, 6-1, the AACS pair of Nigel Park and Nick Lloyd dropped a tense second set, 6-7 (7-5), but rebounded nicely to take the decisive third set, 6-2, to finish off Key’s Matt Calvin and Owen Lewis. The second set was the first set Park and Lloyd had lost the entire season. The Eagles other two points came at No. 3 singles where Colin O’Keeper, rolled to a 6-1, 6-0 over Gabe Ruoff and at No. 2 doubles where Caitlyn Bontempo and Jeff Kolbeins scored a 6-3, 6-1 win over Key’s Ethan Baker and Kit Cassat. Key freshman Ian Sleat completed his first high school season with a perfect 10-0 record, defeating AACS’ Jack Rosacker, 6-0, 6-2, at No. 1 singles. The Obezags also picked up a point at No. 2 singles where Teddy Robbins defeated Mark Wiley, 6-3, 6-4. It was the second MIAA C title in the last three years for the Eagles, who previously had also won two championship in the MIAA B Conference.